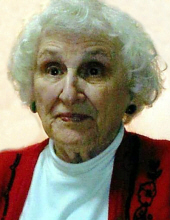 Marjorie J. Brenner, 90, passed away peacefully on March 21, 2019 at Apple Rehab Coccomo with family by her side. She was the beloved wife of the late Reinald Brenner Jr. Marjorie was born in Meriden on November 1, 1928, daughter of the late Laurent and Augusta Gerhing Galarneau. Marjorie led a life caring for others. She was a nurse at the Meriden-Wallingford Hospital for many years. Her true passion was her children’s daycare business, which she ran for over three decades. When she wasn’t working, Marjorie loved spending time with friends. She also enjoyed bingo, trips to the casino and the company of those at the Cheshire Senior Center. Marjorie is survived by her son and daughter-in-law, Lawrence and Alexandra Brenner of Meriden, her daughter and son-in-law, Evelyn and Mark Andrews of Meriden, and grandchildren Christopher Brenner, Valeska Brenner, Lindsay Brenner and Paul Andrews. Relatives and friends are invited to a graveside service on Tuesday, March 26 at 11:00AM at Gethsemane Cemetery, Meriden. Beecher & Bennett-Flatow Funeral Home is in care of the arrangements. To send flowers or a remembrance gift to the family of Marjorie J. Brenner, please visit our Tribute Store. "Email Address" would like to share the life celebration of Marjorie J. Brenner. Click on the "link" to go to share a favorite memory or leave a condolence message for the family.